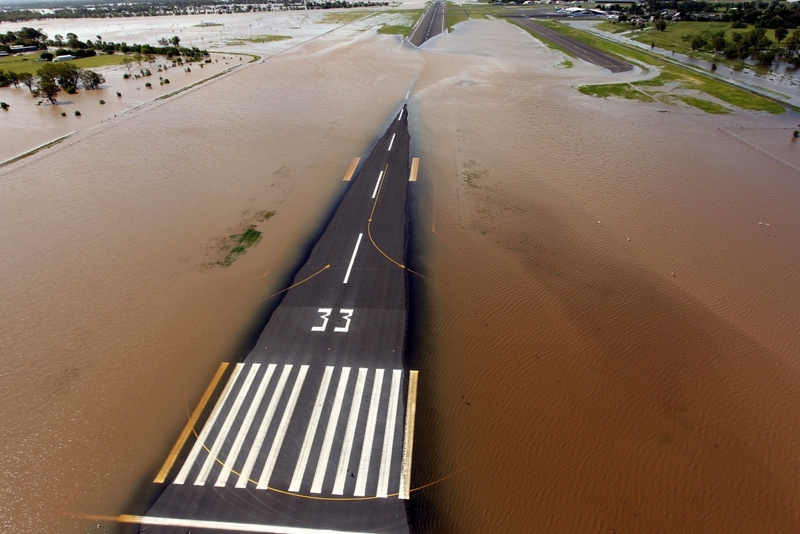 The current flood emergency in QLD looks like just being recognised as some of the worst in recorded history, with what looks like a massive response from both civillian and military air assets. Below are a couple of links for images from the floods and perhaps when those flying flood relief get a chance, they might like to share a few images and/or stories of what they have seen and done. can't bloody please some people, would you rather we took our noisy helicopters away and left you to drown??? QLD Police We ask everybody to please be patient with army personnel, vehicles and helicopters. 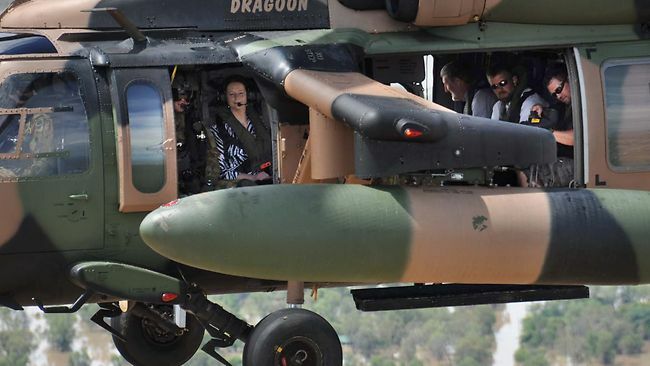 We've been advised that there have been complaints about the noise of the helicopters, and also about army vehicles being parked in Brisbane streets. Post removed, and not a thing lost. Some more footage of a winch recovery during the floods from inside the aircraft. Everyone is doing a fantastic job in what must be difficult circumstances!! Some suggestions that cyclone zelia is moving down the Qld coast. that might mean significant rain again around those areas soon. There is also another prediction for one around the end of the month, Qld border area. I wonder if they are emptying that dam we hear about in the media? All the best to those working in the area. Tropical Cyclone Zelia is expected to continue moving southeast away from the Australian coast while strengthening during the next few days. All of the available forecast guidance is very consisent in forecasting no impact upon the Australian mainland. There is also another prediction for one around the end of the month, Qld border area. I wonder if they are emptying that dam we hear about in the media? All the best to those working in the area. I do sincerely hope that if the storms being talked about come onshore they will be met with much lowered water reservoirs than last time and ALL life saving assets maximised and prepared - especially helicopters - with strategically placed fuel reserves, from day one instead of waiting for the weather to clag in before calling out the military. When it comes to saving lives there should be no false premise on commercial proprietary, as long as everything is legal the military and govt assets must get in there alongside the commercials and get the job done. I feel that I must comment that like the rule of the sea where when a ship is in peril any other close enough is obliged to assist, the rule should apply to any person who is seen as in peril by another regardless of the platform of the observer. If the observer cannot rescue then they should maintain contact and desperately call for help from another asset that can. Media and private helicopters could automatically take on a search and direct function to help all and sundry, that must be a big help surely. Even down to having the same situations as in fires where there is a spotter helicopter doing the co-ordinating????????????????? Not trying to lampoon anyone, just voicing reactions that I hear on the streets after the last episode. People tell me that the blackhawks that live at Oakey are only ten minutes or so from Grantham, and weren't called in on the first day. This I don't know to be true or false. Hover over the Image with your mouse. Move left and right to see the before and after shots.